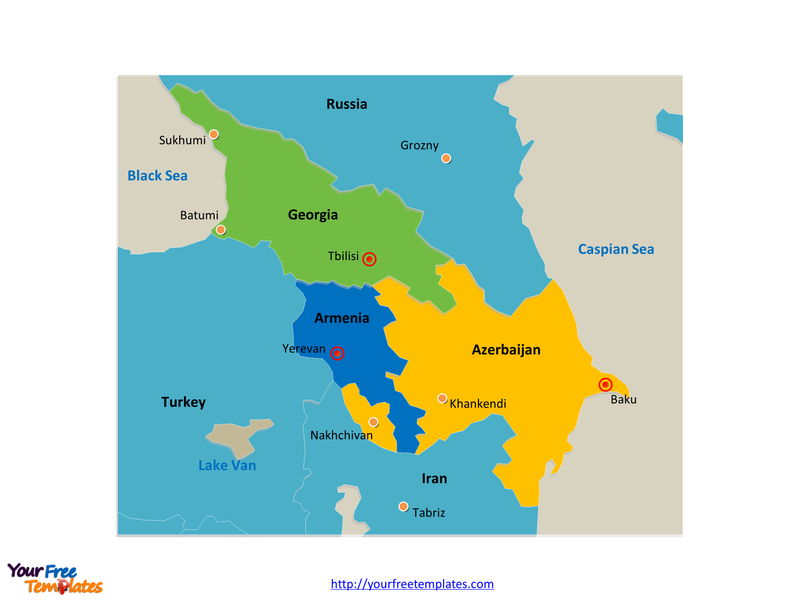 Caucasus Country political map with 3 countries, they are Georgia, Armenia, and Azerbaijan. Caucasus political map labeled with capitals in this region, Yerevan, Baku, Tbilisi, and important cities, like Sukhumi, Batumi, Grozny, Khankendi, and Nakhchivan. 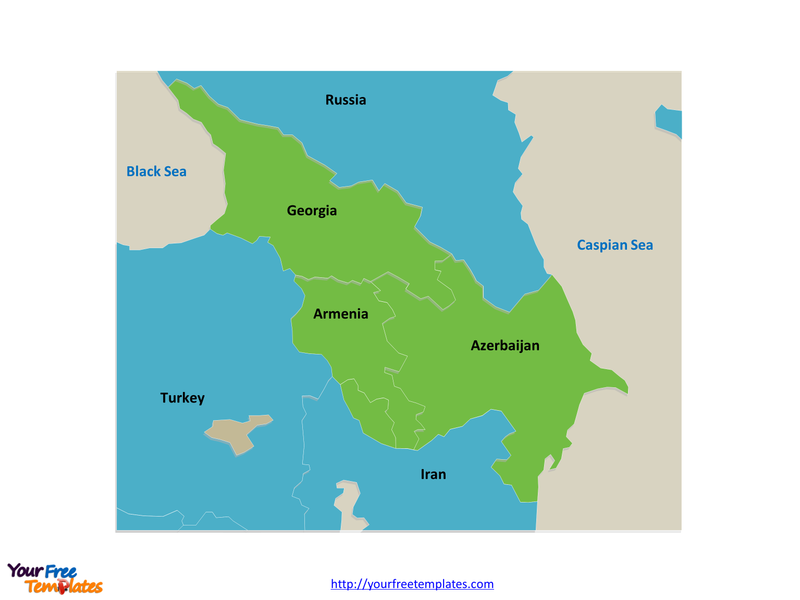 The Caucasus Map Template includes two slides. Slide 1, Country political map labeled with country names. The Caucasus or Caucasia is a region at the border of Europe and Asia, situated between the Black and the Caspian seas. Politically, the Caucasus region is separated between northern and southern parts. While the northern parts are under the jurisdiction of the Russian Federation, the southern parts consist of independent sovereign states. These include Georgia, Armenia, and Azerbaijan. Every individual political subdivision is an editable shape. Slide 2, Country political map labeled with national capitals and major cities. Caucasus map is dotted with national capitals, Armenia’s capital Yerevan, Azerbaijan’s capital Baku, Georgia’s capital Tbilisi, and major cities, Sukhumi, Batumi, Grozny, Khankendi, and Nakhchivan.